Harry Sideropoulos is an award-winning stage actor, singer, voice- over artist, speaker, business man and foodie, celebrating over 20 years on stage. 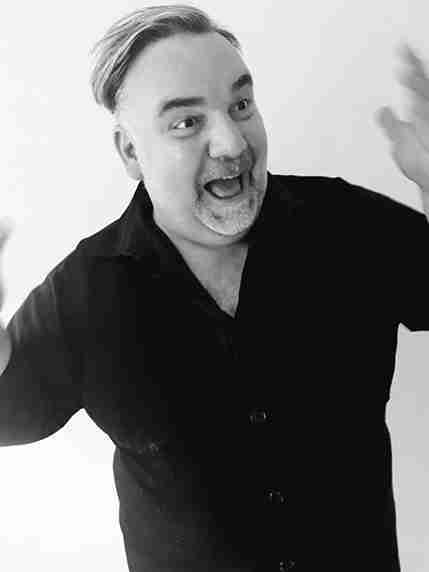 Harry Sideropoulos can also be booked as a key-note speaker for corporate companies, using his skills as a performer and a comic to fuel thought, encourage dialogue and to bring down the house with laughter with his very unique, larger than life personality. Harry, who jockingly admits “ I came out of my mother’s womb talking”, is no stranger to standing infront of an audience and holding court. Using his signiture comedic style of story-telling and his theatrical disposition, this Jo’burg based entertainer has succesfully created a funny, yet though-provoking inspirational talk that celebrates and pokes fun at the human condition, whilst making some very salient observations of life right now. Take a look at this short Youtube link, introducing “Waiter, there’s a Salad on my table!” and you’ll understand first-hand why he’s the perfect candidate for your next speaking engagement!